Another day another failed hammock acquisition attempt; maybe it just isn’t meant to be. I did complete the last significant hill climb for hopefully several hundred kilometres. I’m classing anything over 1,000 feet as significant, however that’s not to say anything less than that isn’t a challenge, especially when there are lots of them in one day. I think it’s going to be fairly flat until I get close to Barcelona now, whereupon there’s another big climb to get to the city. After a hot night I was feeling pretty manky, and it was good to get on the road to generate a cooling breeze. The climb over the mountains to Cartagena proved challenging, but not really an issue after all the practice I’ve had over the last few weeks and months. There was even a bit of cloud to obscure the sun for a bit, which kept things a few degrees cooler. I enjoyed a fast descent down to the city, a big naval port in the province of Murcia; not to be confused with Mercia. Cartagena is another settlement that’s been around for a long time, founded in 227 BC by the Carthaginians, hence the name I expect. It’s been a major port ever since those ancient times. 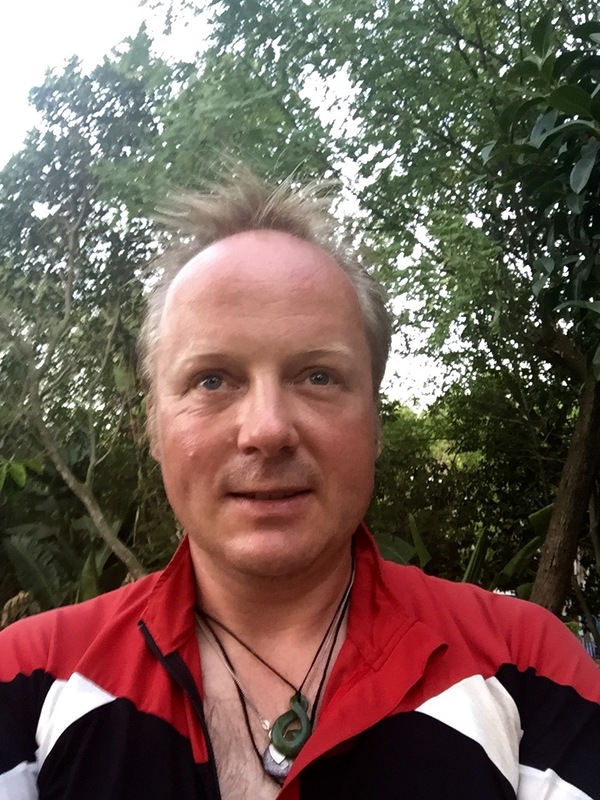 I took a break down in the harbour, amongst lots of yachts, and was spotted on a webcam by the ‘stalkers’ at home; another good rendezvous completed, and at least you get to see a picture of me on my bike, thus proving I am actually doing some pedalling. As I was devouring a banana I started to hear the strains of military music across the water, and realised a naval ship was leaving port with the music as an accompaniment. There followed a lovely flat ride from Cartagena to Torrevieja, with a slight tailwind helping me keep up a good pace. I waved at two other fully laden cycle tourers going the other way, the first I’ve seen for a while; I didn’t envy them the hills coming up. 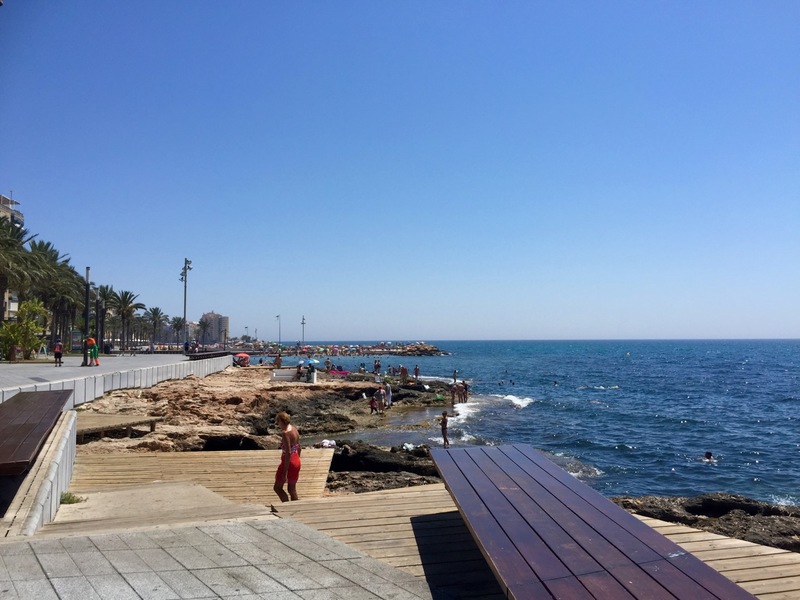 Torrevieja is a big tourist spot, with another nice beach, and pristine waterfront. Again I was struck by the contrast between how clean and well-ordered these tourist towns are compared with the non-tourist and less affluent areas. I have to admit I stopped for a cheeky Burger King on the promenade, enjoying several free refills of cold Fanta, which I think I’m addicted to. 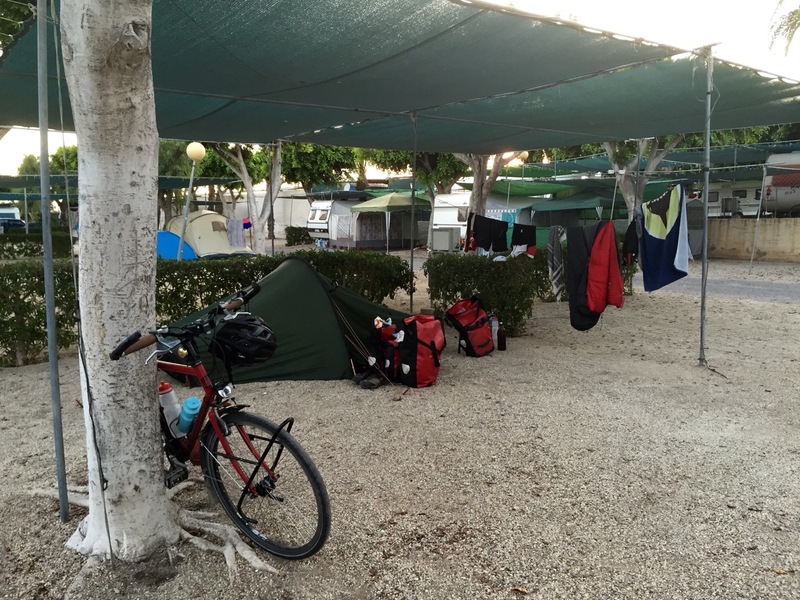 After that I rode on to Santa Pola and my campsite for the night; Bahia de Santa Pola. I passed through a very low-lying region, with shallow lakes on either side of the road populated by flamingos – the first I’ve seen on this tour. I covered a total of 109km today, in about 6 hours. The campsite itself was fine for the night, with friendly staff. It had a good pizza van and a bar with free wifi, so I was happy, despite the noise going on into the early hours of the morning; it was too hot to sleep anyway. Oh, and the receptionist had visited Ely a few years ago, where I was born, and liked the cathedral; he commented on it after seeing my city of birth in my passport. Tomorrow it’s on up the Costa Blanca, to such delights as Alicante and Benidorm. I need to plan in a few more mini adventures; must go swimming in the sea soon, rather than being lazy and just using the campsite swimming pools. Salt water will help neutralise mosquito bites too! A shorter ride of just 85km today, to give my body a bit of a break after a few strenuous sessions, and recovery time from the heat. I was hoping it would be flat again, but there were plenty of ups and downs to keep me occupied as I pedalled up the Costa Blanca. I set off from Santa Pola in good time, after another very hot night during which I got little in the way of sleep. Today’s ride proved fairly unremarkable, passing through concrete sprawls and more tourist spots. I rode through Alicante, getting slightly embroiled in traffic and a confusing road system, however the waterfront was nice with lots expensive boats, and an impressive citadel up on the hill. I had fun weaving in and out of fountains in park near the waterfront; it’s good to play, whatever age you are, and the spray was very refreshing. After Alicante it was on to Benidorm, via some busy roads that proved quite tedious, so I mostly just zoned out. Benidorm, true to its reputation, was packed with Brits on holiday, as well as lots of other nationalities. The beach was absolutely rammed, and didn’t look like a lot of fun to me. I saw several people turning, or having already turned, a similar shade or red to Travelling Lobster, which he found very amusing. There are loads of British themed bars and restaurants; I saw one offering authentic cups of Tetley Tea or Nescafe, with real milk; most of the milk you can buy in Spain is UHT. I was vaguely tempted for a minute, just for the novelty value, but would have preferred a ceveza, or even better some Fanta; my addiction is getting worse. It was somewhat of a relief to get out of Benidorm, even if my morbid curiosity had been piqued, and cycle on to Calpe. The ride took me over some hills and through a series of tunnels near the aptly named Altea Hills; I wondered if it was a take on Beverley Hills – the houses definitely looked expensive, as did the big motor cruiser boats in the marina. After descending into Calpe the first campsite I arrived at wanted to charge €35, so I bid them adios and pedalled 2km to the next one which was only 2km away, and €23 cheaper; it just wasn’t as close to the beach. €35 really is a ridiculous price for a patch of gravel, and I bet the wifi would’ve cost extra. It was a relief to stop for the day, as I’d been feeling a little uncomfortable due to a slightly upset stomach; sometimes I think I should probably be drinking bottled water rather than campsite water, however it should be fine in Western Europe. After a cold shower I pedalled down to the waterfront and took a walk along the promenade. Calpe is definitely upmarket compared with Benidorm, with lots of nice looking restaurants and bars, and a lovely view across the water to the large rock looming over the bay. The walk along the promenade did me a lot of good, easing tension after a hard few days, and stretching my somewhat weary legs. It was fun doing a bit of people watching too, noting lots of different nationalities including Brits, French, Spanish of course, German and American. After buying some postcards I headed back to the campsite via a supermarket, then ‘chilled’ out for the rest of the evening; didn’t have wifi so I wrote the postcards and read my book, a good break from blogging. I also washed my cycling gear again, and was somewhat dismayed by the colour of the water after just one day on the road; so dry and dusty. I’ve just finished reading the first part of a Sci-Fi story, A Day of Faces, a friend from Norwich is writing; well worth a read and available free here, it’s really good: https://www.wattpad.com/story/35978309? Another shorter day, covering 88km; I wanted a shorter couple of days to act as recovery rides. It had been almost cool when I went to bed, with a slight breeze blowing in through my open tent door and keeping me from sweating too badly; it can get a bit soggy in the heat in a small tent at times, most unpleasant. Unfortunately the breeze had dropped overnight so it ended up being very warm again. Coupled with the heat, I’d left my tent door open to let the breeze in, but this had the unfortunate side effect of letting mosquitos, or some other biting insect, in during the night; I woke up to find at least a dozen new and very irritating bites – very itchy. So not the greatest of rests again, and I was keen to get on the road and make haste to the next campsite for a siesta! After trying somewhat in vain to apply suncream to an already sweaty face, and it running into my eyes causing the ‘stinging eye must find water bottle’ dance, I got going and tackled the challenging climb out of Calpe to rejoin the N332. The climb was a steep 800 feet, which definitely wakes you up first thing in the morning. I can’t call it significant due to my 1,000 feet rule but it was still knackering! Thankfully after the ascent there was one of those fantastic descents; not to steep, and goes on for ages. I drifted lazily downhill for what seemed like miles, through a busy quarry area which coated me in more dust, before arriving in Gata de Gorgos. Gata de Gorgos is a brilliant name for a town, and will definitely be one for the parallel book; I haven’t looked it up but wonder if it’s got anything to do with Gorgons or mythology? I’ll have to have a search on t’interweb. After remembering to post my postcards in Ondara, it was on to Oliva then Gandia, down a fairly busy road, but with some cloud cover keeping off the worst of the sun. I kept my eyes open for a Decathalon for hammock buying purposes but I don’t think there’s another one until near Valencia now. I stopped in Cullera to take advantage of the free wifi and air-con at McDonalds, then rode the short distance on to the campsite in Mareny de Barraquetes. I passed a fun looking water park, with dinosaurs, and lots of rice being grown in paddy fields. The roadside was lined with bushes laden with pretty flowers; red, pink and white. In general the area looked and felt a lot less arid. Thankfully the campsite had a lot of shade, so I pitched my tent quickly and proceeded to have that siesta, snoozing for about an hour and a half. I awoke to the sound of a noisy engine as my neighbours packed up and narrowly missed my tent with their caravan as they left. Although it was cooler, it was very humid, and having checked the weather forecast it appears everything is building towards some significant storms over the next few days. I need a break from the heat so will welcome any rain, more clouds, and a nice breeze; hopefully a few storms will freshen things up. A bit later on in the evening I heard a few peels of distant thunder, but no rain as yet. The campsite tannoy was warning residents to batten down the hatches just in case, which mostly seemed to involve tying large water bottles filled with sand to awnings to weigh them down. I visited a bakers in the village for dinner, procuring some fine pizza and bread for breakfast, then headed back to the campsite where I met up with Piers, who is down here with his son and daughter, all the way from Belgium, for a holiday. Piers is English, but lives in Belgium, and has lived in both Africa and Spain in the past. It was great to have a chat and relax over a beer, swapping a few stories and talking about life in general. Thanks for the beer and cuppa Piers; maybe see you in France should our campsites coincide. Good luck with future touring plans. Tomorrow its on to Valencia and beyond; getting closer to Barcelona and France. 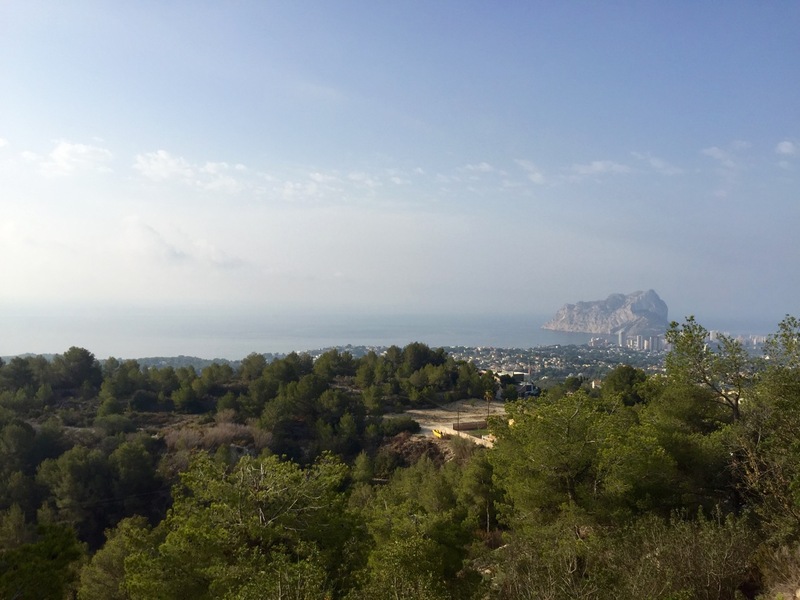 This entry was posted in Self Propelled 2015, Spain and tagged Adventure, Bicycle Touring, Bike, Calpe, Charity, Costa Blanca, Countryside, Cycle Touring, Europe, Expedition, photos, Self Propelled 2015, Spain on July 30, 2015 by SelfPropelled. I think 08.30 is going to be my standard start time now. It’s hot all the time, so starting earlier doesn’t make an awful lot of difference, and I’m kinda used to the heat now; as used as you can be to cycling in temperatures of over 40 degrees Celsius! My first stop of the day was the Decathlon just outside Roquetas de Mar, however this proved to be shut, and I didn’t know when it was going to open, so I abandoned hammock plans for another day and pressed on. I’ll get a hammock at some point, and a beer cooling foldable bucket. The Transcontinental Race might be one for future years, however I’d need to slim down my touring kit, and consider a lighter bike for the ride. 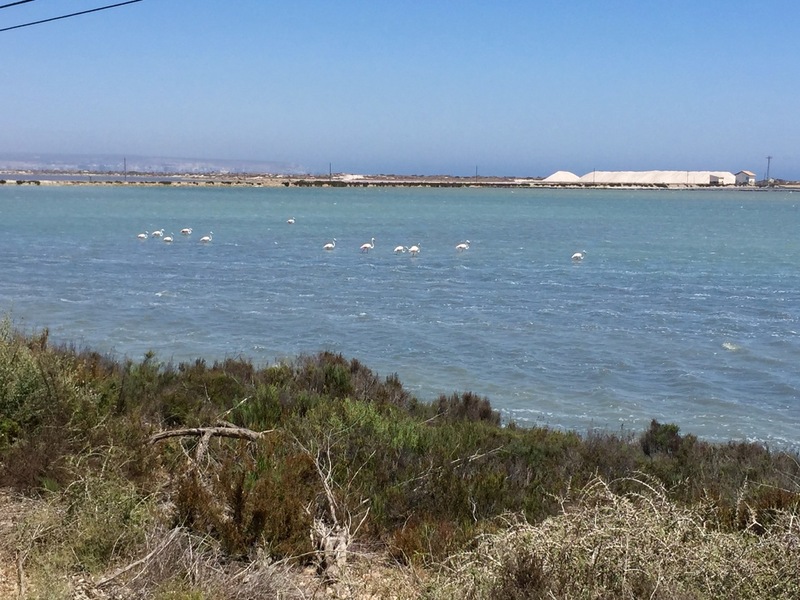 Sea of Almeria – fish farms? There weren’t a lot of options with regards to the route after Almeria, there being a big stretch with not many roads, in fact not much of anything at all. I decided, in my wisdom, that a challenge was in order, and turned inland to Nijar to cross the mountains, then down the other side to get back to the coast. This was also the route my helpful Garmin suggested, however perhaps I should have ignored it and stuck to map reading; sometimes Garmin discounts roads, such as Autovias, which are perfectly fine to cycle on. Check out part 1 of my route for the day via the link at the top of this post; it was challenging, to say the least. Maybe it isn’t quite as warm in the mountains of Peru? I did have a bit of a breeze today, especially during the higher bits, which provided much welcomed relief. 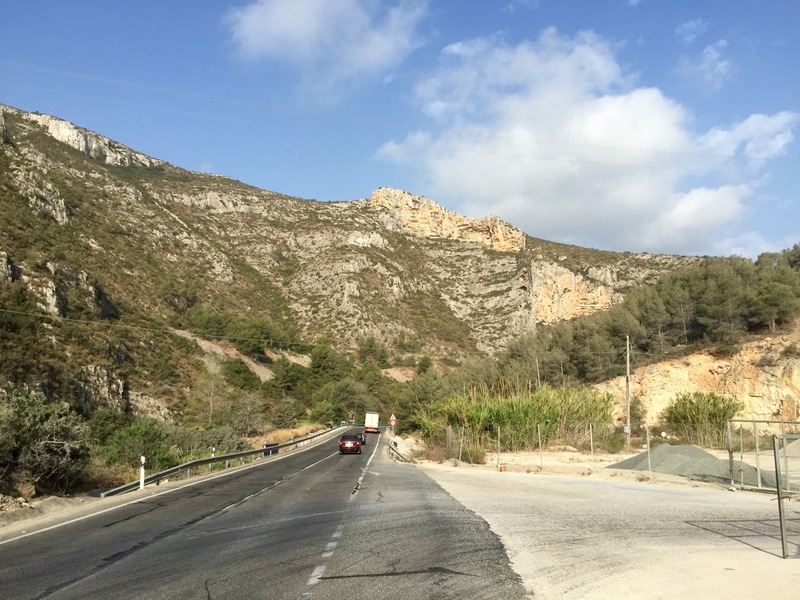 The road continued to be fairly challenging all the way to Mojacar, with continuous hills and the temperature in the 40’s. Despite all that I’d still recommend the route if you’re up for a challenge, just don’t underestimate it, and take lots of water; total ascent today was about 4,500 feet. I reached Mojacar and the campsite for the night, only to find it was closed for July and August; not something you want to see after a hard ride. Shame really as it looked like a nice campsite, with the town of Mojacar perched on the hilltop above. Thankfully there are quite a few campsites on this stretch of coastline, and I enjoyed a pleasant ride alongside beaches, via Garrucha, to Palomares near Vera, and the Cuevas Mar camping. I say it was pleasant, however there was one bit where a car decided to undertake me via a dusty road, throwing up great clouds of grime that thoroughly coated me and several people walking; we all swore at the driver! Cuevas Mar camping proved to be another pitch with a gravel surface, which seems to just be the norm in Southern Spain. At least it had plenty of shade, and a campsite cat for company. The campsite is split in half, with the other half being ‘Nudista’; quite a few ‘Nudista’ sites along the coast, should you be inclined (I wasn’t, and apparently you need a pass anyway). Once set up, and having not cycled enough today, I took at 10km round trip to the supermarket to get some food. The whole area is packed with tourists, and looks like a big holiday spot for Spanish, Brits, Germans and French. Spain is pretty dirty away from the tourist spots, with rubbish strewn across the landscape in some areas. A shame really, and makes one realise how much waste we produce; not sustainable, and why do people just throw their litter anywhere? Good to see in the news that Iberian Lynx numbers of on the rise, after being endangered for so long. There are some great conservation efforts going on across Europe at the moment, and species reintroduction programs. Got to keep the pressure on governments to keep up efforts and not let them get away with shelving green, sustainable or renewable energy initiatives. Shame someone shot and killed Cecil the lion in Zimbabwe, paying the princely sum of $55,000 for the privilege. Cecil made more than that in a few days for Zimbabwe by attracting tourists, and was a national icon. The culprit is allegedly Spanish, what a plonker and another ‘win’ for the human race; I despair at times. After planning a shorter ride tomorrow I retired for the evening, but it was so hot in my tent it was hard to sleep, even with all the vents and door open; really need that hammock. I eventually did fall asleep, slightly concerned about Velociraptors; either someone was watching Jurassic Park in a nearby tent or I was in for a rending. After yesterday’s 140km (+10km supermarket run) I’d decided on a shorter ride today, covering just 85km. Thankfully I hadn’t lost any limbs to dinosaurs overnight, although the campsite cat was regarding me hungrily in the morning; I fed it some leftover ham, which vanished at speeds a Velociraptor would be proud of. The night had proved sweltering, thus it was relief to get on a road and generate a breeze in an effort to keep vaguely cool. My legs felt tired after yesterday’s ride, however I knew I had at least one big climb to tackle today; the hills and heat are beginning to take their toll, so a few shorter days are in order. I pedalled along the coast, up and down several lumps and bumps, on my way to Aguilas; this part of the coast definitely isn’t flat, but makes for entertaining riding. Aguilas proved a nice town, and I paused to watch a swimming race in the sea next to the beach. The water looked very inviting, however I prefer a slightly less frantic pace to the swimmers, who were almost keeping up with me on my bike; was going pretty slowly enjoying the promenade. From Aguilas I turned inland once more, climbing into the hills as a couple of mountain bikers hared down to the town on a dirt track; looked like a lot of fun. A moderate climb was followed by a plain, with more greenhouses, before arriving at today’s big climb up to 1,200 feet. These elevations might not sound a lot, but they’re challenging on already tired legs, with high temperatures and little in the way of a breeze. Thankfully I’d chosen to carry extra water today, which was all needed, however my arms got a bit singed again due to suncream just sweating off. The ride was pretty standard after that, aside from a bit of dirt track joining two roads together, which proved a little dusty; washing cycling gear every day at the moment anyway. 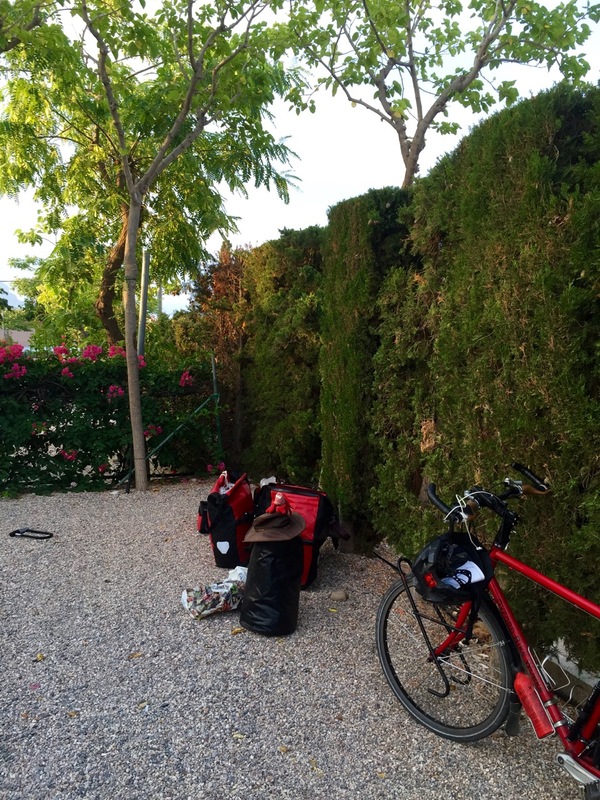 I made it to Mazarron, and then on to the campsite at Los Madriles, which entailed another small climb. Touch wood I’ve only got one more big ascent to complete tomorrow morning, before several hundred kilometres of fairly flat riding, which’ll be a good break before taking on the mountains near Barcelona and whatever happens over the Pyrenees; not sure how much Pyrenees there is on the Mediterranean coast? I made it to the campsite for about 16.00, then had a siesta after chatting to a French family. They’d just arrived from inland, where they said it was even hotter; Seville and Granada were apparently unbearable so they’d come down to the coast where at least there’s a breeze. Los Madriles campsite is a good one, with a friendly atmosphere, and nice bar/restaurant/swimming pool area I could chill out in. The only downside is there wasn’t much shade in the camping area, and it was gravel again. I washed the dust and grime out of my cycling gear before heading to the restaurant for some dinner; the water went a very brown colour! I got to watch the final couple of hours of the Tour de France from the campsite restaurant, which was fun and made for a nice break from planning/blogging etc. Congrats to Chris Froome and Team Sky, excellent work. After dinner I did some route planning, and thought I’d have a go at checking the distance I have left on this tour. I think I’m over halfway, which is good news as means I have enough time to get to Istanbul and back to the UK, whilst including some time off in France to meet up with old friends; about 4,500 miles left I reckon, maybe a touch less depending on route. Watching the TDF 2015 had got me thinking about climate change again; it was raining in Paris. I know the weather in the UK is bad at the moment, and probably won’t get any better unless the Jet Stream shifts, and people are again telling how extreme the heat is down in Spain. Then I read an article in the Guardian about the government cancelling wind farms and other renewable energy initiatives/incentives, and reversing decisions on fracking in sites of special scientific interest; when are we going to wise up and start taking things seriously? It’ll be too late once the sea levels have risen, or people have run out of water in some parts of the world; it’s probably too late even now to reverse the changes in progress. I guess everyone is just too comfortable with their modern lifestyles and ‘must have’ possessions to think about it too much. Anyway, enough of that lest it turn into a rant; however I’ll definitely be trying to live/consume much more responsibly once I’m back home – living on the road means the weather and climate is a lot more close and personal, so you can’t ignore it. On towards Alicante tomorrow, so expecting more tourist traps, but at least they’ll be lots of places selling cold drinks; hopefully they don’t damage the environment! This entry was posted in Self Propelled 2015, Spain and tagged Adventure, Bicycle Touring, Bike, Charity, Countryside, Cycle Touring, Europe, Expedition, photos, Spain on July 27, 2015 by SelfPropelled. After starting Stage 2 of my tour on 22 July, I’ve been making decent progress up the coast towards France. I’m keen to get some good mileage done early on, as I’m planning some time off when I arrive in the Marseille area. That said, there’s a lot of Spain to go yet, including Barcelona which would be nice to look around. It’s very hot still making cycling pretty tough going, especially when you throw in some mountains, of which there are plenty. I keep getting told by locals that the weather is exceptional, and not in a good way; it’s too hot for everyone. I’m having to carry extra water and drink pretty much constantly to avoid dehydration, but it’s manageable so far. Today was a long ride, covering 128km in about 7.5 hours. Meant to start earlier but my 2 days off have shown me slightly, and I didn’t get on the road until 08.30. I pedalled up the coast via lots of familiar sounding places on the Costa del Troll Sol, including such delights at Puerto Banos, Marbella, Torremolinos and Malaga. 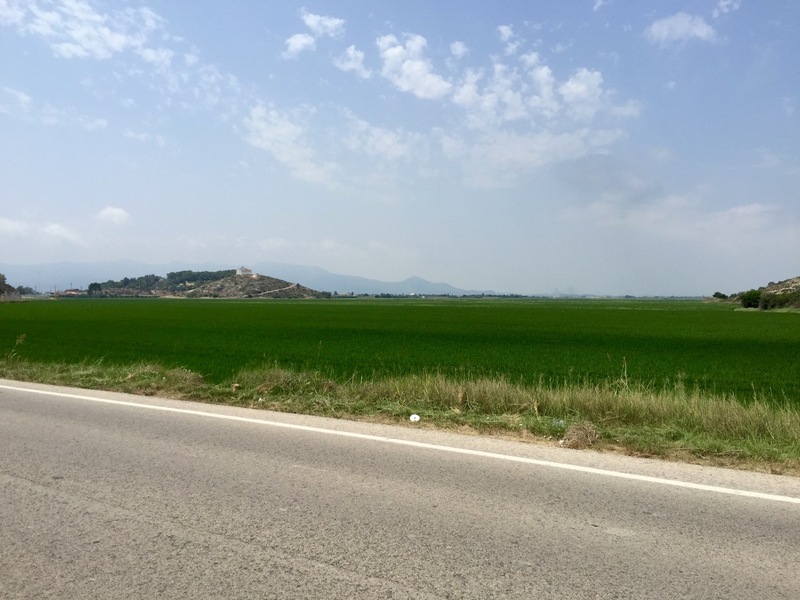 There were a few uncomfortable stretches on the Autovia, which turned out to be the only option for some parts of the ride, however there was often a ‘Via de Servico’ running alongside, and almost always a decent hard-shoulder to use. As far as I can tell you’re allowed to cycle on Autovias as long as there isn’t a no cycling sign. There was a Via Verde running alongside the coast past Puerto Banus and Marbella, which made for very enjoyable riding. Via Verdes are the Spanish ‘Green Ways’ and excellent for cycling or walking on. As the morning wore on the coastal stretches in tourist towns started to get busier, until the beaches were packed with people. Despite it being a bit of a concrete jungle the coastline was much nicer than I expected; clean and well-tended, with no litter and lots of little restaurants and cafes. It’s also great cycling alongside the Med, with a sea breeze keeping things cool, and lots of things to distract you from the tedium of turning those pedals; sailing boats, sand castles, and nice views. A few distant memories floated to the surface around Puerto Banus and Marbella, from a long weekend about 15 years ago, when work flew us all out for a break; quite a messy weekend as I recall. I saw another police road block today, with officers checking the cars going past for someone; they weren’t interested in me though, despite carrying a shifty looking lobster. I wonder if they were looking for the same person or people as yesterday. My arms got slightly burned today, despite studious application of suncream; it just sweats off. It’s the first time I’ve burned for ages, and is purely down to how hot it is. I must have drunk about 6 litres of water/fanta whilst cycling, and more when I stopped for the day. I took a pause in Malaga to visit a Decathlon in search of a hammock, or hamaca in Spanish. They’d sold out but I did enjoy the air conditioning for a while, and the free wifi allowed me to double-check the route into Malaga, which turned out to be slightly tricky due to rivers and motorways. After a final climb into the hills above Torrox I made it to the El Pino campsite, and to a friendly reception for once. I set up in a nice shady spot, and decided to eat at the campsite restaurant as they had an all-you-can-eat salad bar, and decent lasagna, all for €10, winner. All you can eat salad bar, brilliant! Man it was hot though, even after 11 o’clock at night, making for a rather uncomfortable night’s sleep; a slight migraine didn’t help, must be slightly dehydrated despite drinking loads. After yesterday’s efforts I had thought I might stop earlier today, but that depended on campsite options. As usual I had a few ideas as to where I might stay, with a stretch goal of Roquetas de Mar should I be feeling energetic. I ended up pedalling 160km in about 9 hours, so the legs are holding up alright. As with yesterday I didn’t manage quite as early start as I wanted. I’d like to start earlier to avoid the heat, but as it doesn’t get light until about 07.00, and I don’t want to cycle in the dark; I guess leaving by 08.30 isn’t too bad. It always takes me a while to pack up in the morning, especially after a breakfast to make hobbits proud. After a great descent down to the coast from the campsite, I followed the N340a to Nerja, waving and saying hello to lots of road cyclists out for a morning ride. The N340a runs parallel to the motorway, and is a quiet road as a result, barring the bits in towns. The mountains reach the sea along this part of the coast, leading to some wonderful scenery, tempered with fierce climbs, lots of bends, and quick descents. I must have passed dozens of cyclists during the morning, and even a couple of other tourers in the afternoon. I haven’t seen any other cycle tourers for a while so it was good to wave and say hello; always lifts the spirits to know you’re not the only daft individual cycling in these conditions! After some strenuous pedalling I made it to Almunecar, which must surely be town name hearkening back to the time this area was under the control of the Caliphate, then on to Salobena, tackling one hill after another with very rarely a flat bit. I could have stopped in Castell del Ferro, but I’d only covered about 70km by that stage, and there looked to be lots of campsite options further on. Feeling good, despite the hills and heat, I pedalled on, stopping in El Pozuelo to buy a drink; after two litres of cold Fanta, two bananas, followed by crisps and biscuits, I was ready to continue. I noticed towers on the hills at regular intervals along the coast today, often perched precariously. I don’t know when they were built, but imagine they must have once been manned as watch towers, linking the various forts and citadels; saw several of them too. It was good to be away from the busier tourist areas, instead passing lovely beaches with far fewer people, and smaller towns and tourist spots, probably mostly frequented by locals. Also saw a lot of goats, with the odd herd sheltering from the sun under bridges and shady spots made by the motorway; expect there’s been goat herding along this coast for centuries. It was getting really hot again, with the breeze only making itself known when not blocked by the mountains. I was a bit worried about getting burned, as any suncream I put on just sweated off again. At one point my head must have got too hot as suncream kept running into my eyes, leaving them sore and stinging; I had to stop to wash them out to avoid crashing. I had a look for the campsite in Adra, but couldn’t find it so carried on, the cycling getting easier as the landscape flattened out a bit. I began to see more and more greenhouses as I left the tourist areas behind, and entered a massive agricultural area, with peppers, tomatoes and no doubt many other fruits and veg being grown. I expect some of it makes its way to the supermarkets in the UK; shame about the carbon miles. The farming looks to be pretty intensive, and it makes you realise the effort that has to go into keeping all those supermarket shelves stocked. Imagine the chaos if the supplies ever stopped flowing; anarchy within 48 hours I reckon. 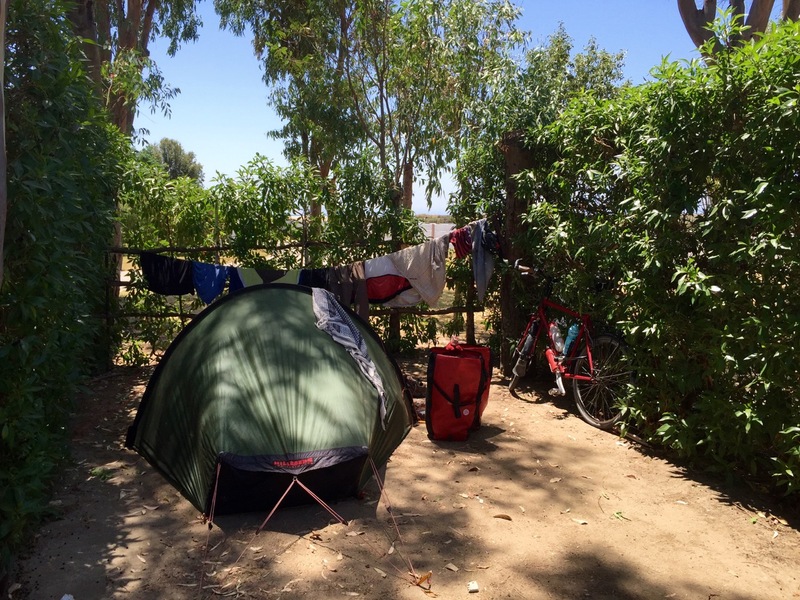 The cycling was a bit boring after the mountains, and I stopped in Almerimar to try to find a campsite. This town looks to be a purpose-built tourist settlement, with marina, beaches, and a huge golf course. The wind also looks like it’s pretty consistent so probably a good sailing/surfing spot. I couldn’t find the campsite although I didn’t look too hard; the golf course was tempting with its lovely greens and little lakes, but I figured they might object to a grimy cycle tourer pitching their tent on it; might raise the par for that particular hole. I’d actually passed a couple of other campsites but they didn’t really appeal, being a bit blasted by sun, sand and wind, so I decided to carry on to Roquetas de Mar. After mile upon mile of greenhouses, accompanied by some Jack Johnson on my phone (on speaker not earphones), I made it to the campsite in Roquetas, having covered 160km. I had fairly wobbly legs after over 4,500 feet in ascents, and a big distance, so it was with some grumbling I pitched my tent on yet another gravel surface; at least it was shaded. After washing my cycling gear through, vital in this heat, I phoned home then bought dinner from the campsite shop, settling in for a quiet night. The campsite was fairly busy and noisy but very little can keep me awake after a long day on the saddle. Talking of saddles, did a bit of maintenance on mine, tightening it a notch and applying some Proofide; got to look after the Brooks to ensure it keeps looking after my posterior! I hear there are big storms in the UK, with lots of rain. Don’t know how anyone can deny climate change is happening when we have such extreme weather patterns everywhere. I wonder what it’ll take for people to finally realise our current lifestyles just aren’t sustainable; might write a longer post on this at some point, but it’ll wait until I’m back on the UK. Will try and find another Decathalon in the next few days, really want a hammock now! 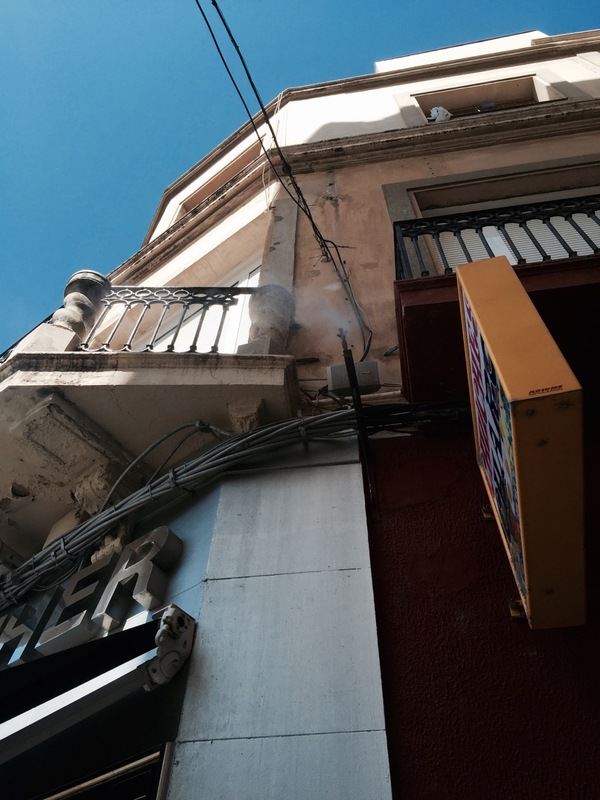 This entry was posted in Self Propelled 2015, Spain and tagged Adventure, Bicycle Touring, Bike, Charity, Costa del Sol, Countryside, Cycle Touring, Europe, Expedition, photos, Roquetas, Self Propelled 2015, Spain on July 25, 2015 by SelfPropelled. Bit of a blog catch up in order; I’ll try to be succinct, however there’s been lots to see! I didn’t want to get up today, but the fear of cycling later in the day, when it gets really hot, eventually forced me out of my tent and into the pre-dawn gloom. I say gloom, it wasn’t really gloomy, the sun just hadn’t risen over the mountains yet. The descent from Monesterio was punctuated by climbs, as the mountains did their best to remind me they weren’t quite done yet. Trees made more of a regular appearance, and I found myself cycling through beautiful woodland at one point, a nice chance from the arid plains higher up. I made fairly good time, averaging 20km an hour, despite a 700 foot steep climb prior to finally getting out of the mountains, that left me very hot and two water bottles down. On the way up I passed a lot of road cyclists going the other way, who all shouted encouragement which was nice; I love the bond between cyclists on the road, everyone looks out for one another and is generally friendly. I was welcomed to Andalusia by a herd of horses that galloped alongside me for a bit, pretty cool. I stopped in Las Pajanosas for a break, buying a drink and pastry from a small supermarket; 1.5 litres of cold milk didn’t last very long. It felt a bit like I was back in civilisation as I started to pass through more modern looking towns, with more cars and people. 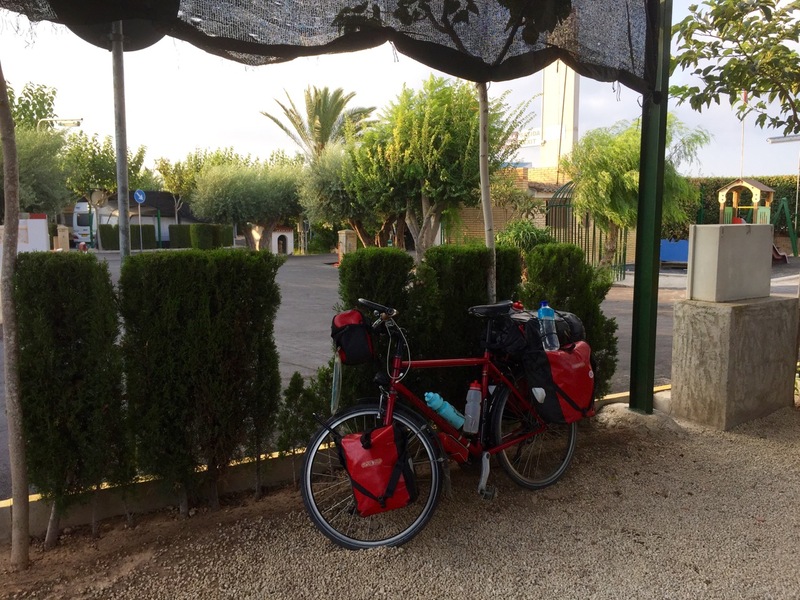 The road flattened out as I approached Seville, and got steadily busier and harder to navigate as I finally bid the N630 farewell, and tried to find the cycle path into the city; I did, but after a few wrong turnings. After locating a Tourist Information office, and picking up a map, I took a slow walk around the city taking in its various sights and sounds (and smells, not all pleasant). My walk was punctuated every few hundred yards to stop to buy a can of cold drink; this got a bit expensive, but I was beyond caring due to the heat – my internal thermostat was sending out warning signals. At least Seville has lots of shady spots (not shady as in risqué, shady as in cool) to pause in before the next sunny bit. I found the Cathedral, the old Arabic Palace – the Alcazar, and several lovely plazas, before coming upon a Costa which pushed aside sight-seeing motivations for a bit. I don’t often frequent coffee shops, however they do fruit coolers, which felt like a fitting reward for reaching Seville, so I stopped for lunch and used their free wifi. It reminded me a bit of coffee stops with Lu, and I know she would have loved the city with all its old buildings and history; when we visited Cyprus she dragged me round most of the archeological sites on the Greek side of the island – you can get a bit bored of holes in the ground and mosaic remains after a while! On my way out of Seville I visited the Plaza De Espana, a square built in the 1920’s, and pretty spectacular. It’s situated in the Parque de María Luisa, has a large fountain, boating canals, and is enclosed on one side by a large continuous building; town hall and government buildings. The half circle of buildings represents the four kingdoms of Spain, with tiled alcoves for each of the provinces; a nice place to pause and cool down in the fountain, even if you do have to pay a 50 cents premium on a can of drink. Lots of other people were also taking advantage of the fountain, which regularly sprays large clouds of fine water droplets over the surrounding area, blown by the wind, and was very refreshing. After the delights of Seville, well worth a visit, it was back on the busy road to find the campsite in Dos Hermanos; Villsom camping. I cycled through the rest of the Parque de María Luisa, a lovely spot to chill out in, then joined a cycle path alongside the main road for the first 10km out of Seville. I missed a turning at one point, and had to double back and cross over a couple of motorways, but made it after 15km of very hot riding. Villsom camping did the job for an overnight stay, but I wouldn’t want to stay there for any longer. Reception weren’t friendly, always a bad sign when they seem put out to have customers, the wifi was rubbish, and the pitches a bit bad for tents. 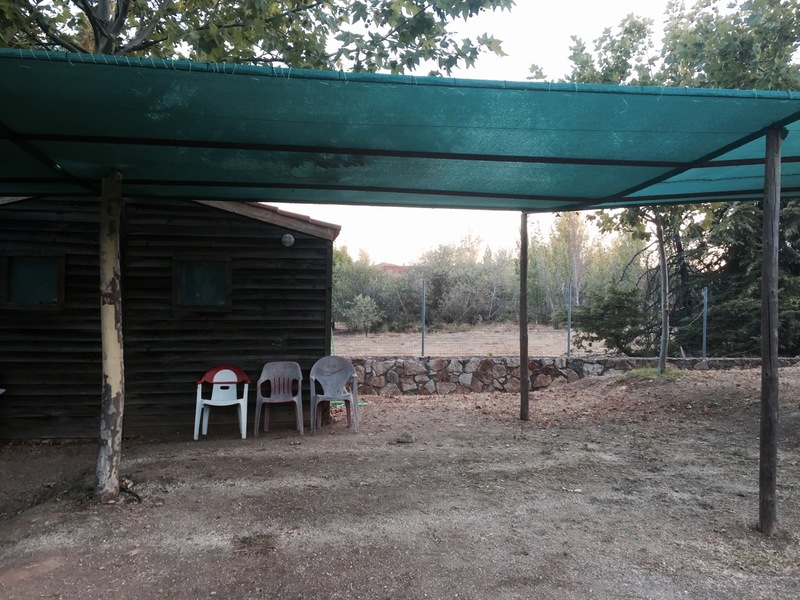 It did however have shade, and a swimming pool, which helped alleviate the extreme conditions somewhat. I cycled to a nearby Hypermercado to get some supplies, and was somewhat dumbstruck by the sheer size of the place, and selection of goods on offer; the air-con was also very pleasant. After that it was back to the campsite, a couple of beers, and a chat with a Dutch couple who have toured extensively; by camper van not bike. He used to work for the EU and had some interesting stories about mediating between rival factions in Sudan, and told me about the cisterns in Istanbul which sound like a must visit. I went to sleep listenimg to a group of French ‘kids’ playing guitar in the pitch next to mine, lovely. Today won’t go down in my touring annals as a particularly noteworthy day. I covered 114km yesterday, and 101km today, however the latter were definitely duller, and smellier, the highlight being reaching the coast again. I set off early from Dos Hermanos and Villsom camping, keen to be away from a not particularly great overnight stop; it had been far too hot all night, not going below 30 degrees Celsius. I joined the NIV heading South, but after a few kilometres turned off to follow smaller roads through farm and marsh land; this is where the smelliness came from. I think there were a lot of peppers and tomatoes being grown. There was lots of interesting birdlife to watch out for, but I couldn’t tell you what most of them were; Egrets maybe. After a while I rejoined the NIV and headed to Jerez de la Frontera, on a very busy road that luckily has a wide hard shoulder. It was mostly pretty dull and hot. Close to Jerez the NIV turned into an Autovia, that apparently I’m allowed to cycle on, and I did so to get into the city; if anything it was quieter than the NIV. I passed the airfield where my brother learn’t to fly aeroplanes, watching a light aircraft doing circuits; must have been a student learning the ropes. I had a walk around Jerez, taking some time to cool off in the hot and slightly humid conditions. I visited the city several years ago, during a short break to see my brother, but couldn’t really remember much about it aside from its the centre of a lot of sherry production. After some fruit and a few cold drinks I pressed on to El Puerto de Santa Maria, down on the coast, and was rewarded by my first sight of the sea after several weeks. Back in France I’d assumed the next sea I’d get to would be the Mediterranean, however it’s still the Atlantic to the West of Tarifa. It was lovely to reach the sea again, and several degrees cooler down by the coast; I stopped at the Playa Las Dunas campsite for the night. The rest of the day involved a siesta, planning the route into Cadiz and the next couple of days, and shaving my beard off! It felt like the right time for it, as it was getting slightly irritating in the heat, not to mention unkempt. I would not however recommended doing this with just a slightly blunt razor; I feel much better for it, with the wind on my face, but it took ages. I also had to ditch my icebreaker cycling top which had developed holes, and appeared to be disintegrating slightly. It was sad to see it go, but I really couldn’t warrant it’s continuing existence; I probably should have burnt it for health and safety reasons. 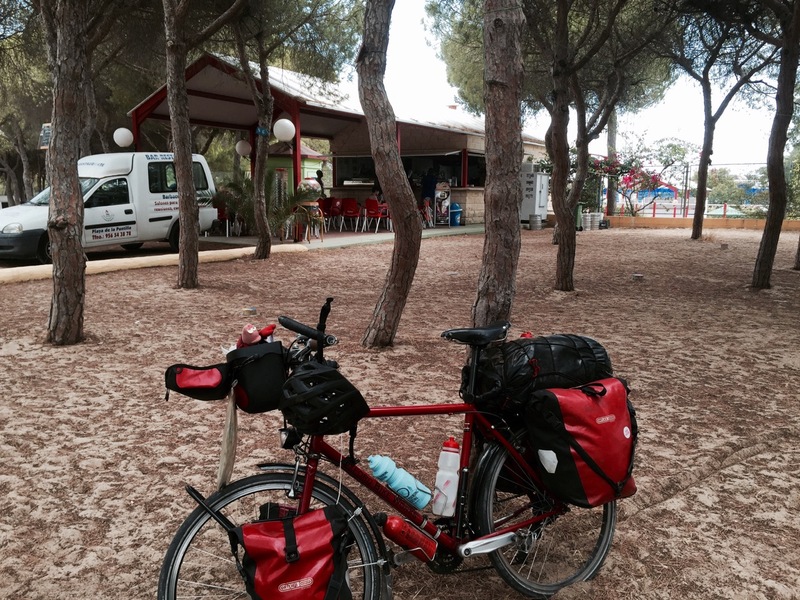 Quick mention to the Playa Las Dunas campsite, a good stop-over even if the wifi wasn’t working. Good pool, and nice little bar close to my tent, and great can of Heinz Baked Beans to round off the day. Tomorrow it’s on to Conil de la Frontera, the last stop before reaching Tarifa! This entry was posted in Self Propelled 2015, Spain and tagged Adventure, Bicycle Touring, Bike, Charity, Countryside, Cycle Touring, El Puerto de Santa Maria, Europe, Expedition, photos, Self Propelled 2015, Seville, Spain on July 19, 2015 by SelfPropelled.